The Cool Campus Challenge is a four week competition organized by the ten UC campuses and the UC Office of the President to motivate students, staff and faculty to reduce their carbon footprint. This challenge has all UC campuses competing to lower their carbon emissions through an online point system and the UC campus that wins the challenge will be crowned the “Coolest UC Campus” and their office of sustainability will receive a $2,000 reward in funding. The challenge began on April 1 and will last until April 26. The UC’s reason for creating this challenge is to eventually make all UC campuses carbon neutral by 2025. 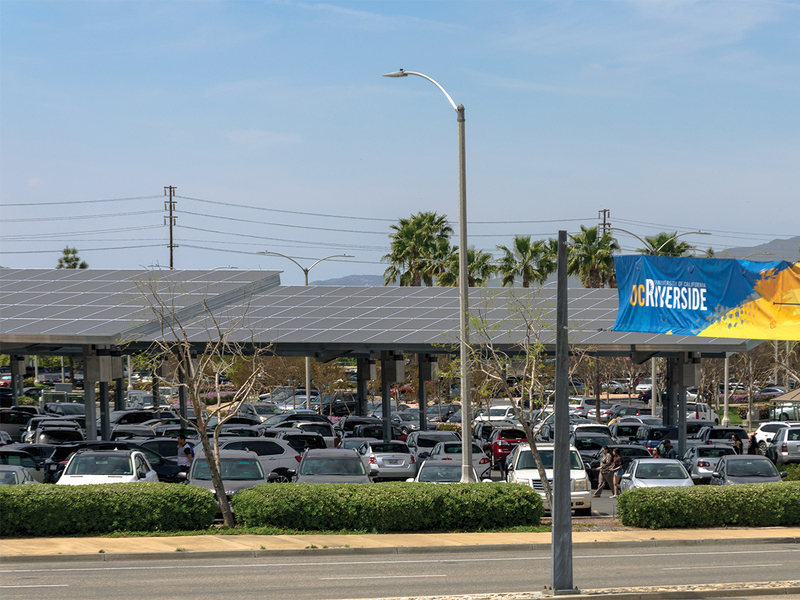 This Carbon Neutrality Initiative began in 2013 and the goal was to make UCs emit net zero greenhouse gases from its buildings and vehicles. This would require UC campuses to expand their efforts in energy efficiency and greatly increase their use of energy from renewable sources. UC Riverside’s Office of Sustainability is the department leading Riverside in this competition and are marketing to increase student, staff and faculty participation. The relatively small Office of Sustainability was revamped last year and is trying to promote the Cool Campus Challenge through social media, e-mails and posters around campus. This office gives guidance and collaborates with other departments for campus operations, academic endeavors and service activities to maintain social and environmental stability. Other members from the Office of Sustainability gave their opinions on the Cool Campus Challenge. Third-year student Ivette Torres said that the competition is good because “it teaches us to grow”. She said that it has given her the chance to personally challenge herself. First-year student Byron Brooks said that participating in the challenge asked for minimal changes and that it’s not as difficult as he previously thought. However, Torres has found the challenge difficult due to being a commuter and trying to find better ways to come to school that are more energy-saving. These students have learned of the many unknown ways to lower their carbon footprint such as taking the stairs instead of the elevator and if you take direct plane flights to lower the carbon being released. To join the Cool Campus Challenge, students can visit the Cool Campus Challenge website, create an account with their university email and begin participating. The contest is point-based, and awards the campus point based on actions completed by students on the website, such as registering, uploading photos or creating teams to promote sustainability. All the points are added together to make up the total amount of points that UC Riverside has in the challenge, with UCR currently ranking in 9th place. To give more incentive, the Office of Sustainability will give awards to the participants and groups with the most points. These prizes include reusable water bottles, Cool Campus Challenge t-shirts, reusable grocery bags and portable solar-powered chargers. With the effects of environmental issues such as climate change and pollution, greater awareness and education of the impact humans have on the environment is important. The Cool Campus Challenge provides an opportunity to be more mindful of the habits that students could change to help sustain the environment.